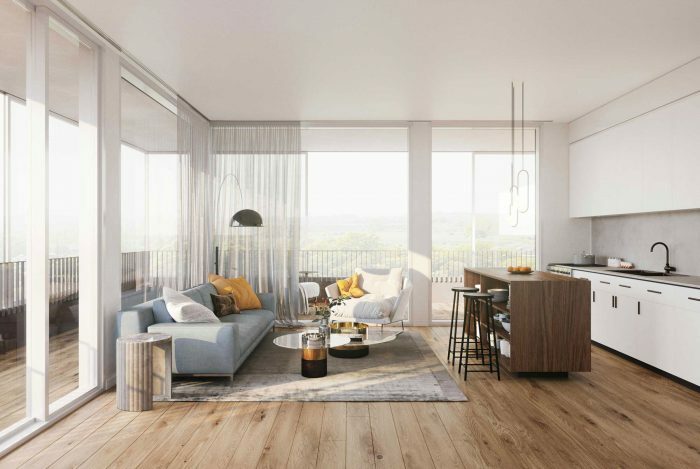 Gibbard District’s spacious and functional condo units are as unique as the bold vision behind the upcoming community. Designed to embrace the surrounding landscape and maximize livability, they contain unique features that aren’t typically found in standard residential buildings. Learn how they’re redefining small-town condo living. High-quality materials and finishes—Gibbard furniture was known for its quality and superior craftsmanship. Continuing this tradition, the condo units at Gibbard District are crafted with high-quality materials and finishes. Abundant natural light—In a home, natural light reduces energy usage, makes rooms feel larger, and boosts mood. To create bright residential spaces, Gibbard units have been designed to maximize natural light exposure. Typically available only in large detached homes, this feature is standard at Gibbard District. Enclosed balcony upgrade—Most condo residents in Ontario get to use their balcony for only a few months each year. As a Gibbard District resident, you’ll have the option of purchasing an enclosed balcony upgrade to maximize your space and seamlessly integrate indoor and outdoor living. 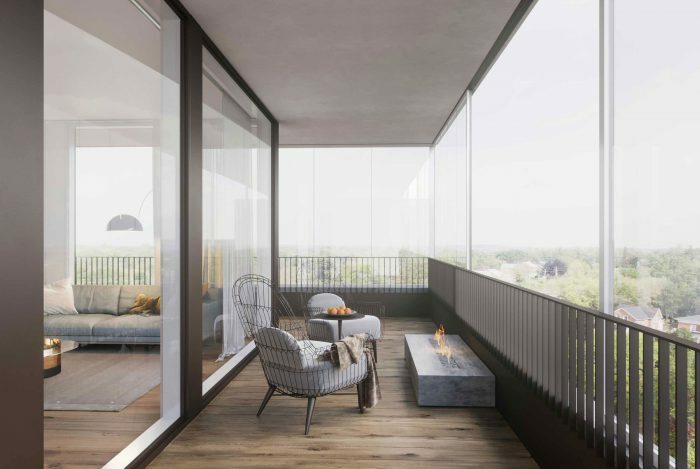 With this optional feature, you’ll be able to use your balcony to enjoy Napanee’s scenic landscape even in the spring and fall. Want the core features of a Gibbard unit with a few special touches? Gibbard District’s garden villas offer unique spaces for small-town living. 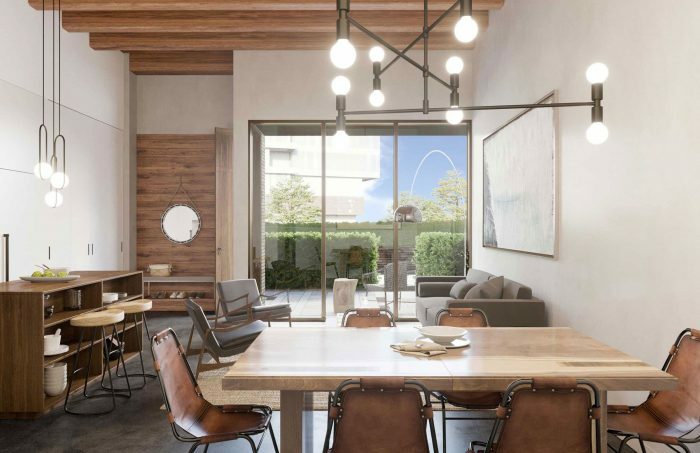 Featuring 12-foot stained oak ceilings and exposed polished concrete floors, they combine the industrial history of Gibbard with the benefits of urban living. Escape to your very own private garden terrace for a dose of tranquility or to spend time with friends and family. Located on the piazza level of the district, the garden terraces are bordered by deep planting beds and native trees to ensure privacy while providing easy access to piazza amenities. Featuring a modern 3-bedroom layout and high-quality finishes, The Loyalist is a home unlike any other in Napanee. With floor-to-ceiling windows and a wraparound terrace along three sides of the suite, you can enjoy stunning panoramic river views while cooking dinner or watching TV. Although the penthouse’s strategic design creates a bright and spacious feel, The Loyalist doesn’t just feel roomy. With 1033 sq. ft. indoors and the option to enclose the 643 sq. ft. terrace to maximize livability, you’ll never be short on space. Whether you’re looking for a new home or a seasonal getaway, Gibbard units offer innovative residential spaces in a close-knit community. Modern, scenic, and bright, they’re the perfect place to begin your next chapter or relax and rejuvenate.